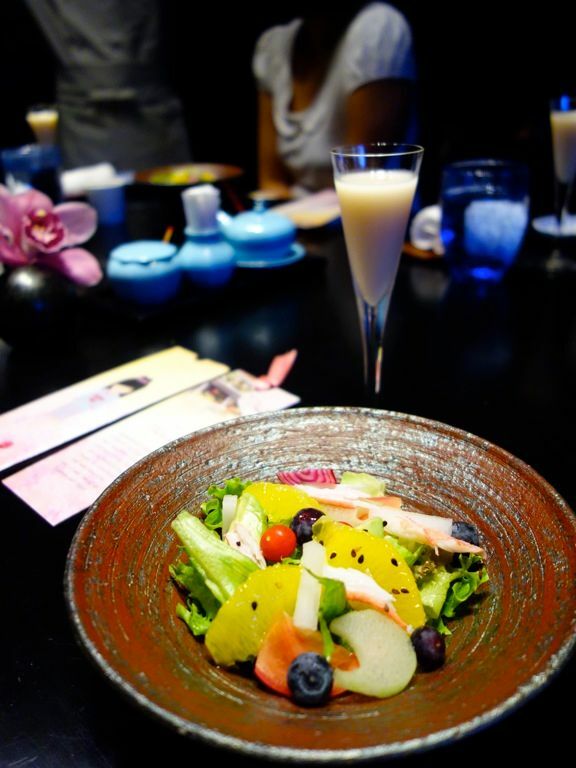 One can pretend to be a dainty Japanese doll while nibbling on the pretty bites created by Executive Chef Moon Kyung Soo at Mikuni Singapore for the Hina Matsuri (Doll's Festival). 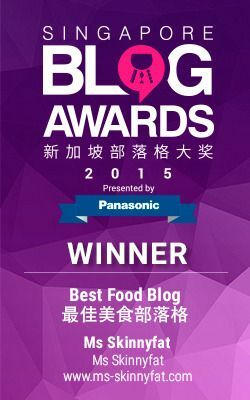 It doesn't matter if us Singaporeans aren't familiar with this time-honored festival that is celebrated in Japan, as long as we get to enjoy the delectable feast happening from 1 to 10 Mar 2016. This special 7 course lunch bento set is a hit with the ladies (not to say the men wouldn't enjoy it) with its pretty presentation and sheer variety (thankfully portion-controlled). The oohs and aahs went on in typical Japanese fashion as we were presented with our tiered boxes of food (they may as well be jewelry). A refreshing starter of organic Japanese green salad served with snow crab, orange, blueberries and black sesame helped to prep our palates. 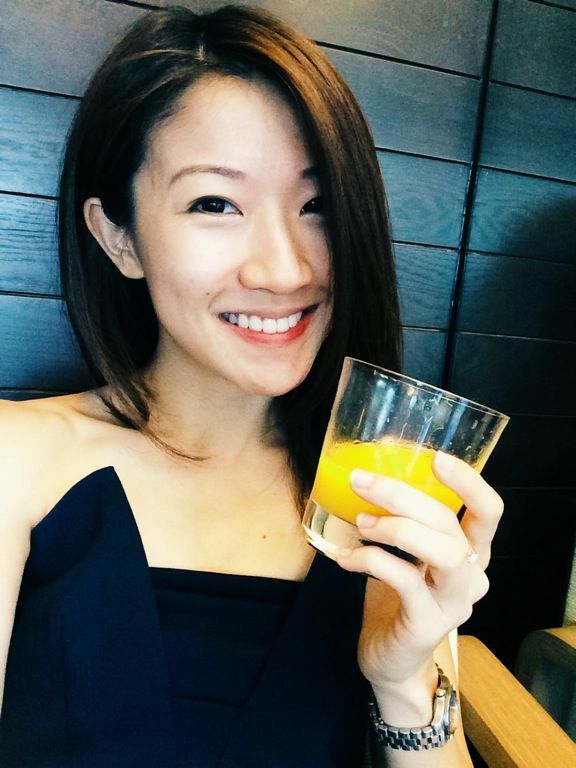 This was refreshing with bursts of sweetness and tartness from the berries and citrus. 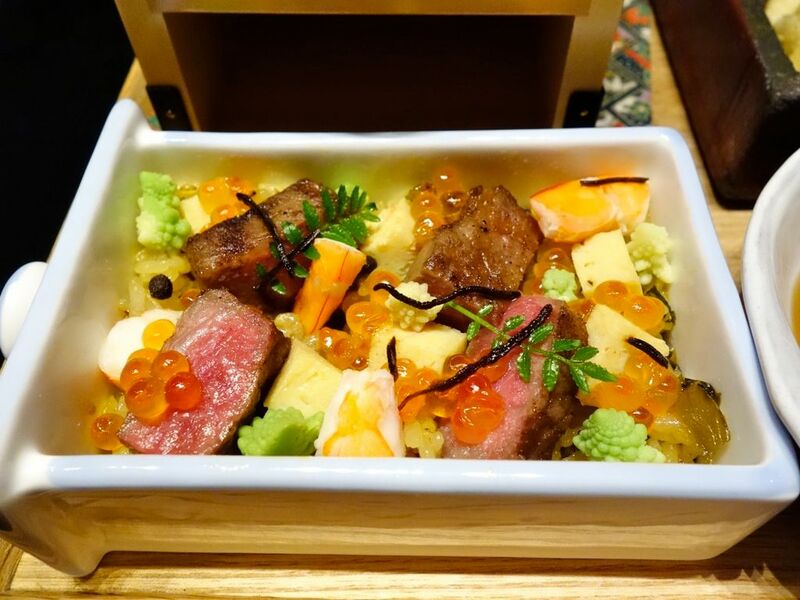 The second course is a showcase of eight traditional Japanese appetizers artfully arranged in one tier of the exquisite drawer that Chef Moon specially sourced. 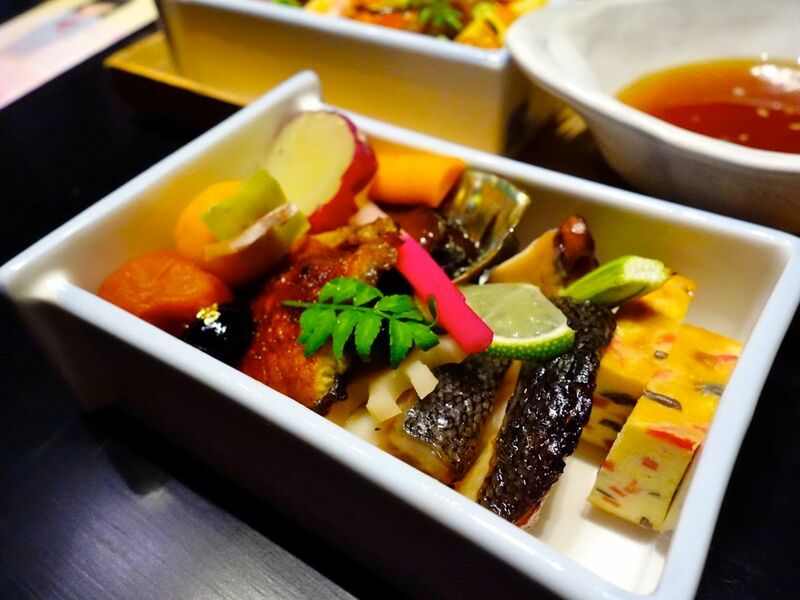 Experience a mixture of flavors and textures from the grilled miso cod, slow cooked abalone, unagi, octopus, umeboshi plum, asparagus, Japanese pickles and miso egg. Variety FTW. 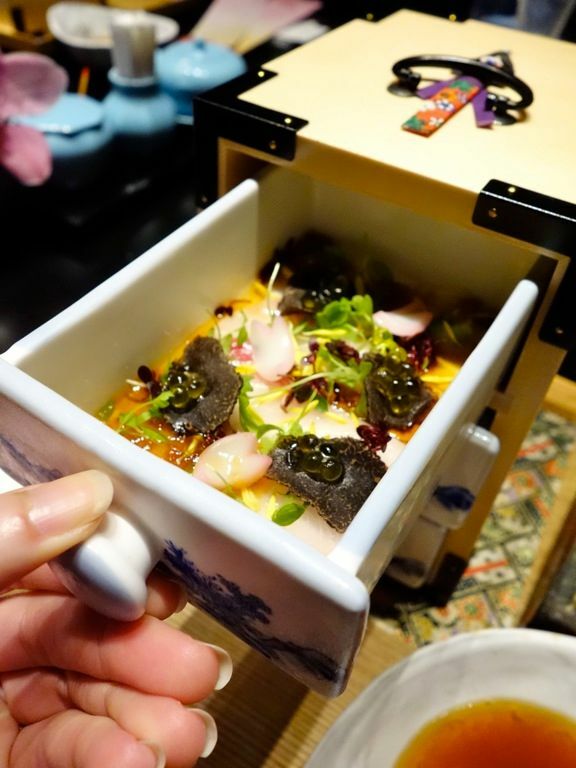 In the other tiers, there's the Mikuni’s Signature Truffle Kanpachi served with the indulgent black truffle soy sauce which was sweet and earthy, with pops of olive caviar to add some smoothness to the mix. I could certainly have more of Mikuni’s Chirashi Don, which is actually a juicy well-marbled Miyazaki Wagyu Beef on flavored rice with seaweed, shrimp. and tamago. I can imagine this in a Kamameshi (bigger portion too)! Loved the crispy light tempura on the side as well with all my favorites- shrimp, pumpkin, sweet potato, and vegetables. 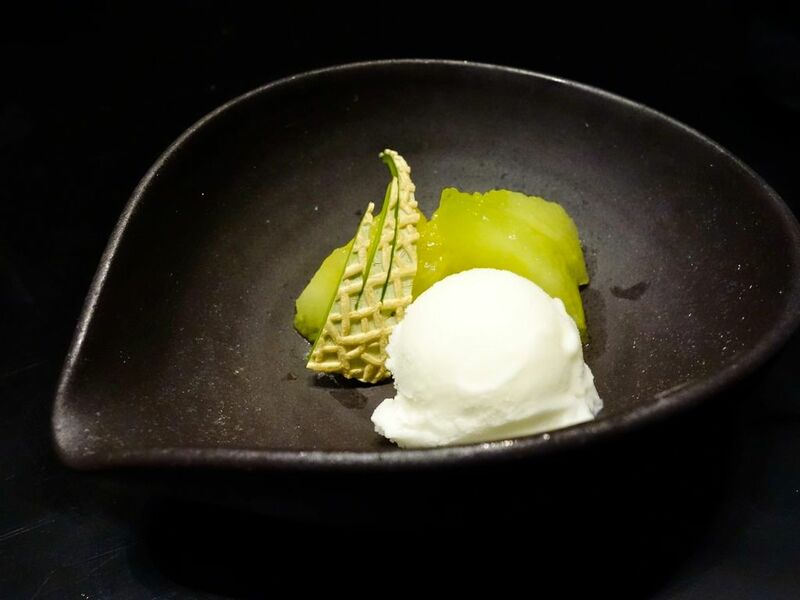 Rounding off the meal is the premium Shizuoka Musk Melon and Salt Ice Cream. The tinge of saltiness in the ice cream enhances the sweetness of the melon and provides more balance to the sweet. 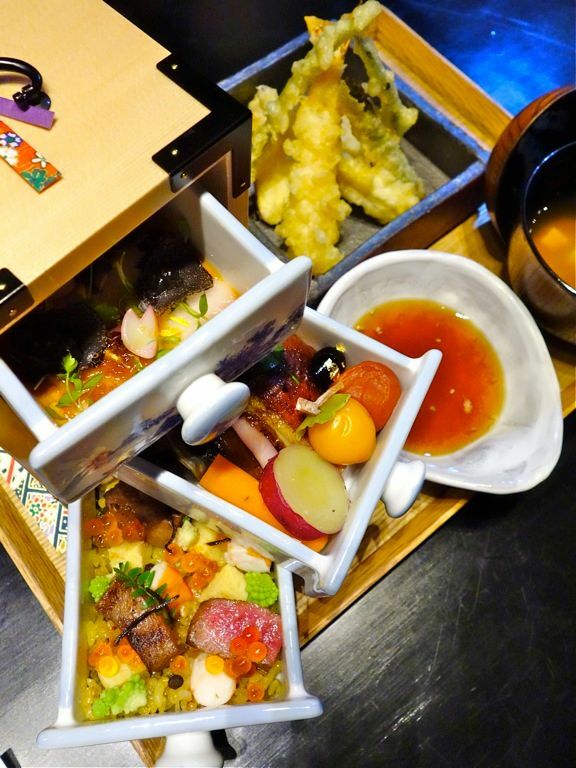 The Hina Matsuri bento is priced at $120 per person for lunch and includes a complimentary glass of Amazake. Hurry make your booking now at Mikuni!